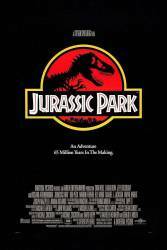 Trivia: An explanation of why the triceratops was sick is in the Michael Crichton novel and the original screenplay, and a deleted scene - the triceratops swallowed rocks to grind its food as it didn't have teeth that could manage this. Once the rocks were worn down in its stomach it vomited them back up, along with the poisonous lilac berries that it had unintentionally swallowed at the same time as the new rocks. 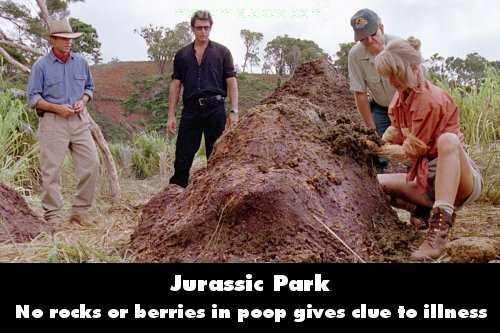 This is why there are no berries or rocks in its mound of poop. Laura Dern briefly picks up some rocks and berries, clearly forming the connection, but the rest of the scene was cut.